If you require extensive dental treatment Dr Phil Jacobs has strong skills in restorative dentistry and has helped many patients fix their teeth over the last 20 plus years. If you haven’t been to a dentist in a while and have a lot of symptoms and problems with your teeth it can be daunting or embarrassing to approach a new dentist. Dr Jacobs is a professional and compassionate dentist with many years of experience, he is ready to help you on the journey back to good dental health. 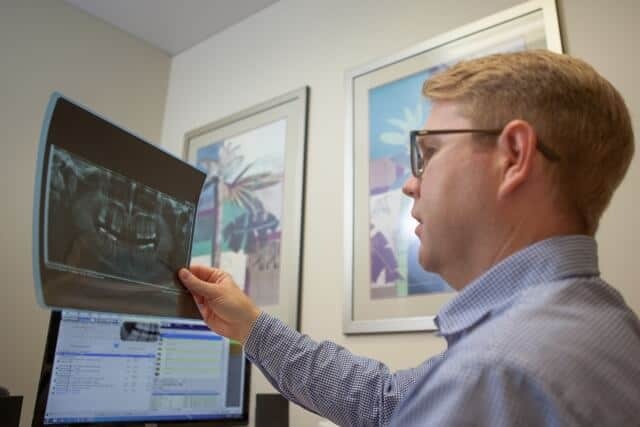 Planning for a full mouth restoration begins with a comprehensive examination, xrays of your teeth, and sometimes an xray of your whole skull known as an OPG. Detailed written treatment planning is done and presented to you with options and costings for consideration. When a plan is confirmed the work can proceed in stages. Our first priority is always to make your smile healthy again and restore function, after that you may be interested in some improvements. At the initial discussions of the treatment cosmetic changes can be planned for if a more aesthetically pleasing smile is something you desire. We use quality materials and work with our trusted local dental technicians to produce the results you deserve. With the technology, skill and experience of Dr Jacobs, beautiful cosmetic results can be achieved. Our predominant concern will always be for your teeth and gums to be healthy and free of damage or disease, however if you have something that you don’t like, just ask, we have the solutions!